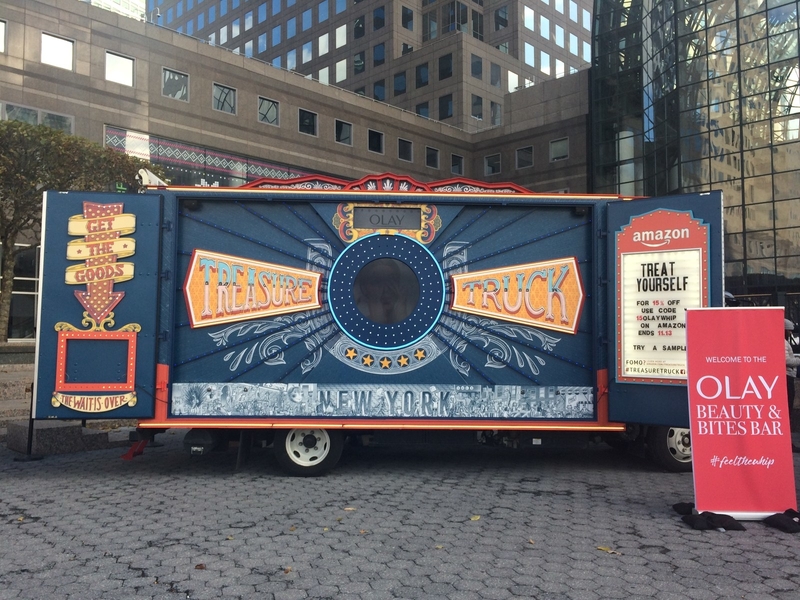 For one day only, Olay partnered with the Amazon Treasure Truck to bring an interactive experience to skin-care lovers in New York City. We checked it out, and here's the deal! 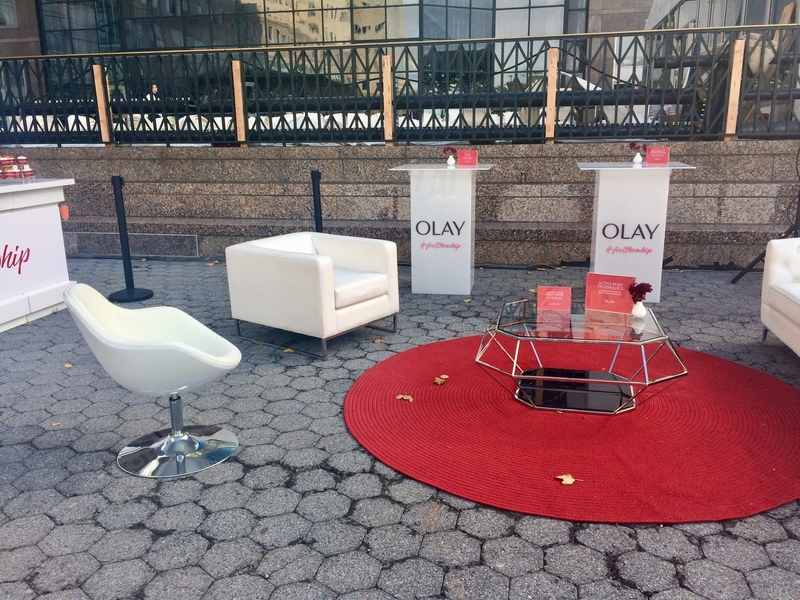 On November 10, Olay partnered with the Amazon Treasure Truck in New York City to spread the word about Olay Whips. So as part of my job as a branded content writer at BuzzFeed, I went to check it out! 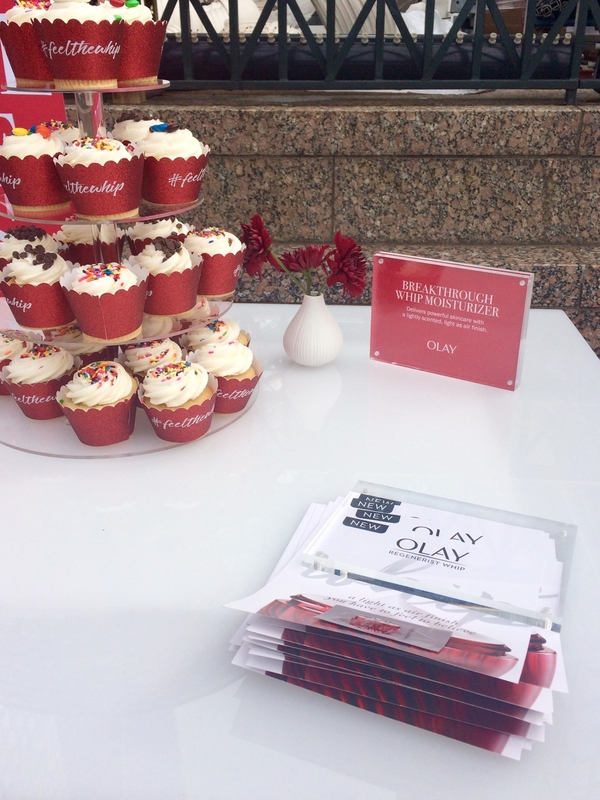 The whole experience took treating yourself to the next level with a pop-up event where you could get a free skin-care consultation and a sample of Olay Whips — and even decorate your own DIY cupcakes! 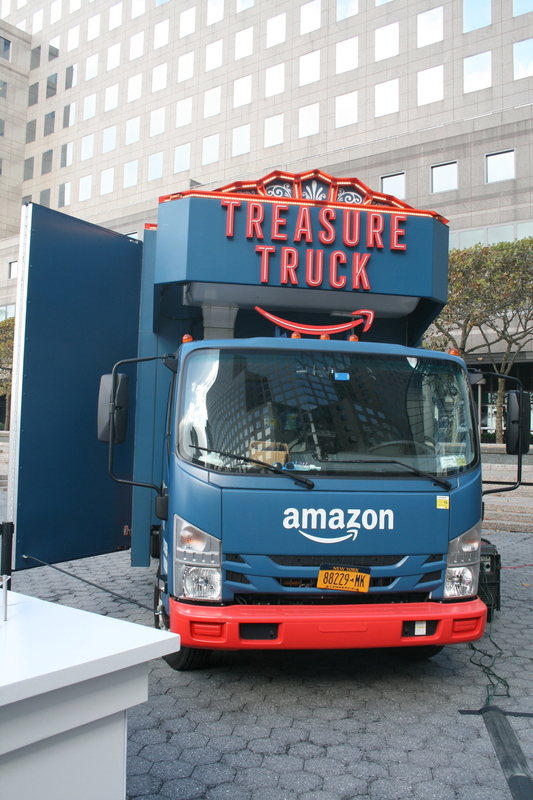 And if you're unfamiliar with Amazon's Treasure Truck, you're definitely missing out. Every day, Amazon picks one item of the day and sends an alert via text revealing the item. 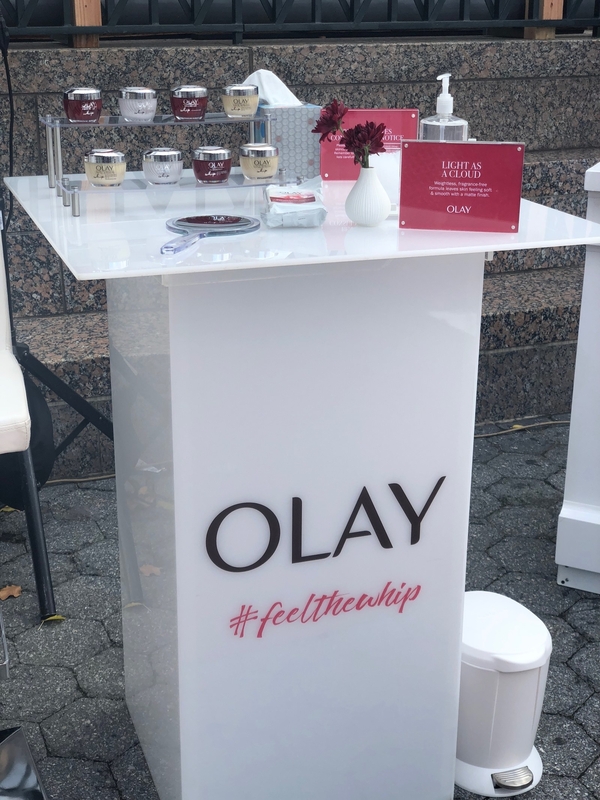 And this item — Olay Whips — is extra special because the Olay team partnered with Amazon to create an interactive experience like none other. The first things we noticed when we arrived were the consultation areas (more on that later!) and the lounge area, for relaxing. It felt more like a ultra-glamorous spa than outside in downtown Manhattan. 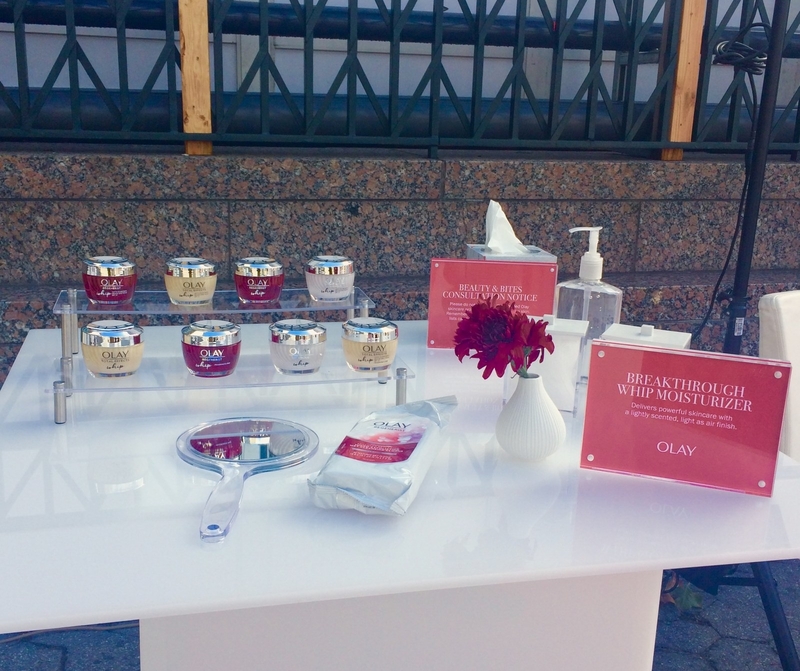 At the consultation table, Olay skin-care specialists were on hand to help find the right product for you. Frauke Neuser, the specialist we connected with, is a PhD scientist who specializes in cosmetic chemistry, with 18 years of experience at Procter & Gamble. She explained that Olay Whips are different from other moisturizers because, unlike some "light" moisturizers that add air or water to create that lighter feel, Olay Whips have active rush technology, which transforms from cream to liquid right on your skin for instant absorption. She said that without sufficient hydration your skin's health and appearance are both compromised, causing wrinkles to show up earlier and dull skin that doesn't quite "glow." With winter approaching, moisturizing is even more important. Finding the right product can be overwhelming, so we asked the specialist how to know what's right for our skin. She explained that there are three varieties of Olay Whips. The Regenerist (red jar) line is best for fighting fine lines and wrinkles as well as loss of firmness and elasticity. The Total Effects (gold jar) is best for those looking for healthy, nourished skin and is packed with vitamins and antioxidants and the Luminous (white jar) is best for glowing, even skin tone and tackling brown spots and hyperpigmentation. And for those with sensitive skin, Olay now has a fragrance-free version of the Regenerist-line and a fragrance-free SPF 25 version for the Total Effects line. And it's all non-comedogenic and won't clog your pores. So there really is something for everyone! Olay Whips are also great under your makeup, with a soft, matte finish that won't pill. Plus, each variety comes in an SPF 25 version for everyday UV protection. She recommended using the Olay Whips SPF during the day for sun protection and then applying Olay Whips fragrance-free at night before bed. And did we mention there were FREE samples? 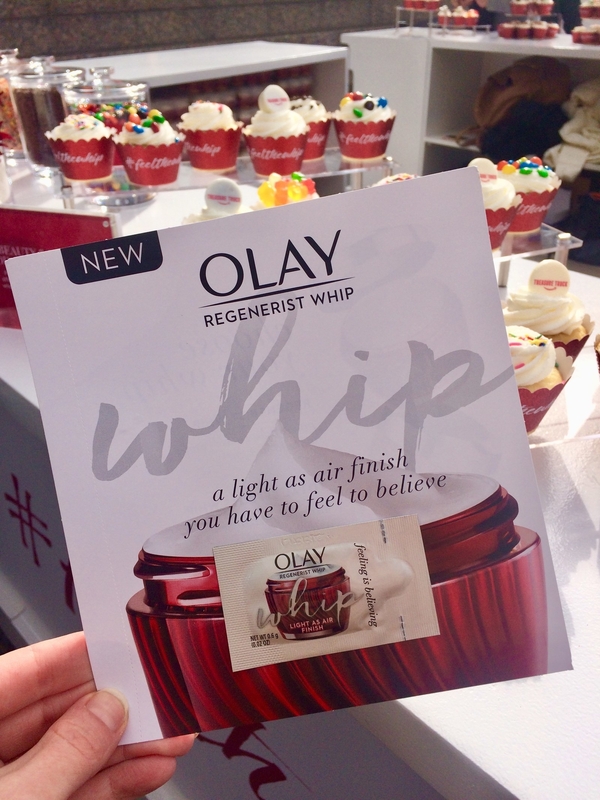 Everyone went home with a sample of Olay Whips. Another highlight for us? 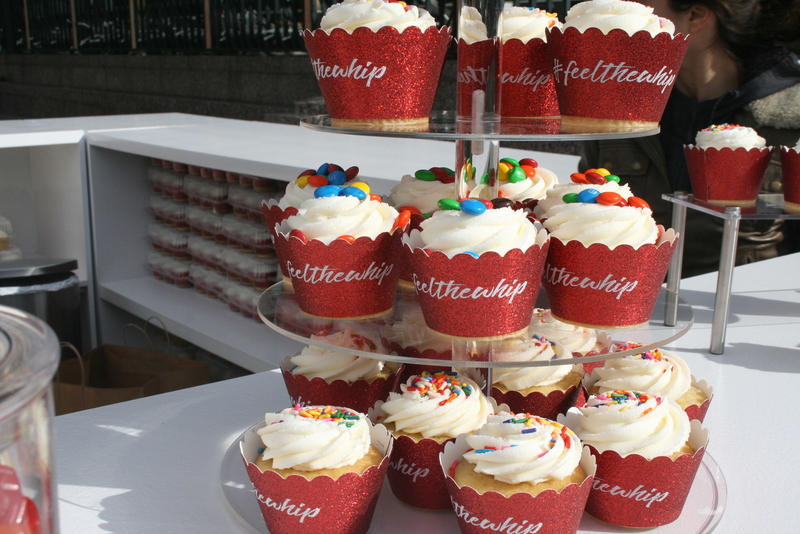 The cupcake bar! 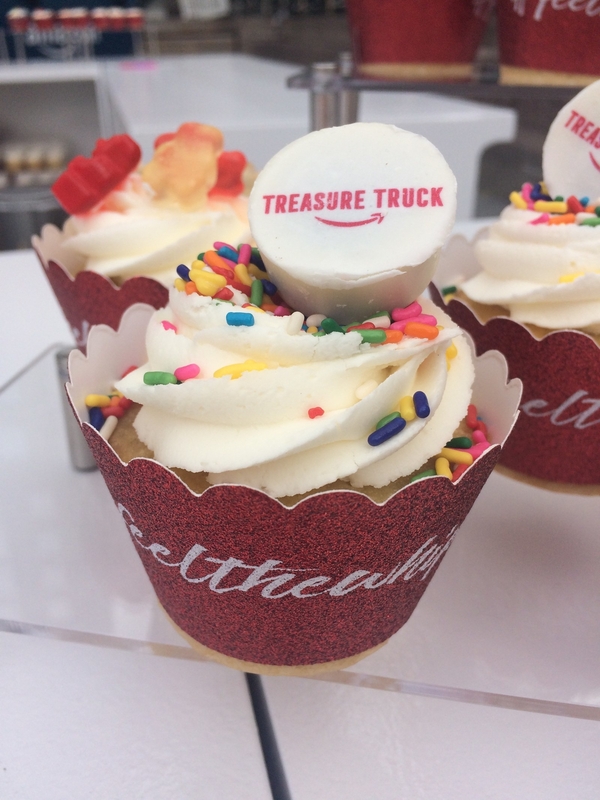 Nov. 10 happened to be National Vanilla Cupcake Day, so naturally the event included a DIY cupcake bar with fluffy vanilla cupcakes and pretty much every topping you could imagine, from rainbow sprinkles to cookie crumbles. Didn't make it? 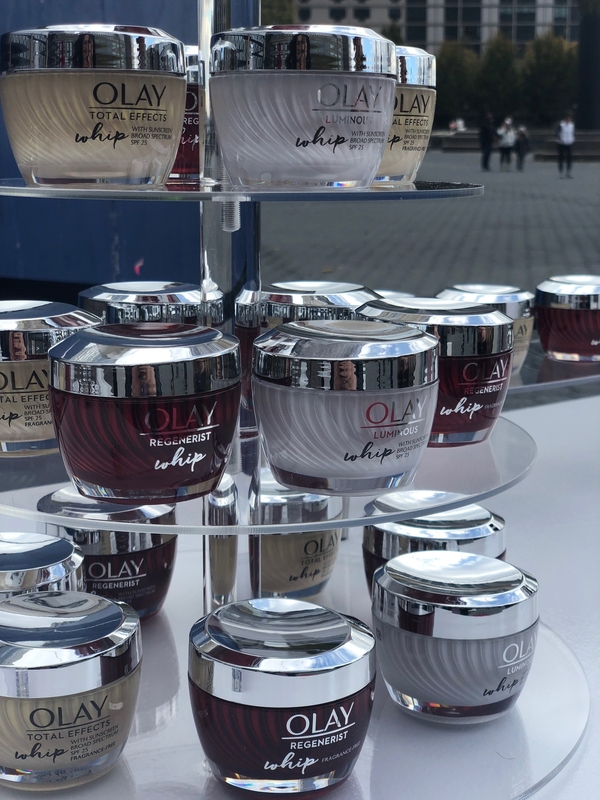 You can still purchase all of the Olay Whips products featured at the event from Amazon anytime!